Ready to indulge in a new creative experience? I’m not sure my art is really meant for beginners. However, I’m 100% positive that for the experienced colorist, my art projects will give you all the joy of painting, but with pencils and markers instead of paint. You can immerse in a more creative experience . . . more freedom, with hints of lines instead of predetermined, solid coloring areas . . . essentially a new and unique experience. This is my first publication of original art, adapted for adult coloring projects. It’s a PDF ebook that has 10 images for coloring – each one has a black & white coloring page with a matching colored one. Those are included simply as a guide . . . feel free to use your own palettes! 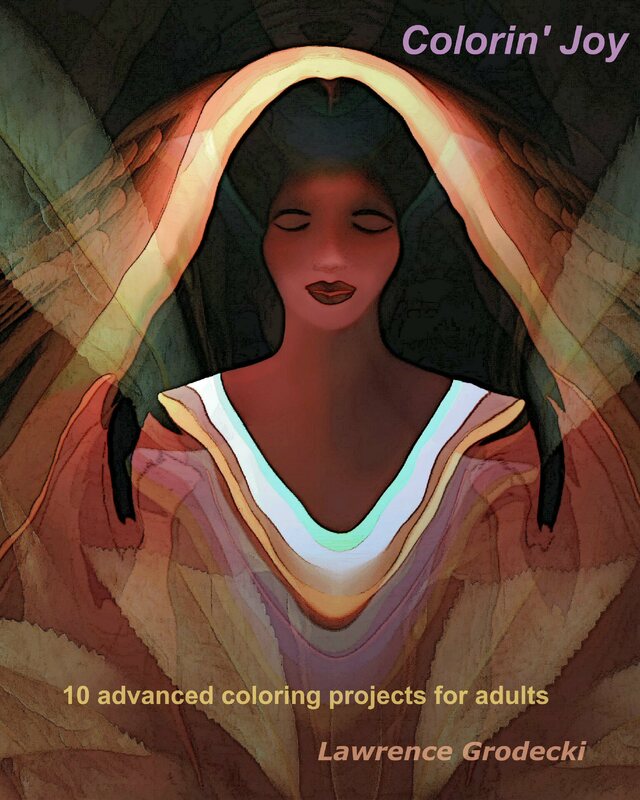 The cover below shows a colored sample of one of the ten projects. It’s called, “Nirvana”. To see more samples click here. Important: The link for downloading “Colorin’ Joy” will be sent in your email from PayPal. you can use various stocks (heavy card stock, even canvas). If you have any questions, please contact me and I’ll do what I can to help. Thank you for your genuine interest and all the best in your colorful world! Bonus – Click here for some FREE Downloads of my creations in PDF format!